Chip and Tony Kinman have been involved in some of America's most defining moments in music during their long and storied careers. Their seminal band the Dils are regarded as one of the first and foremost West Coast punk rock acts of the late 70's and their subsequent group Rank and File helped define the entire alt-country movement and changed the definition of what we now call "Americana" forever. 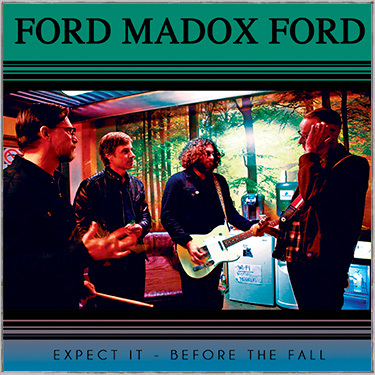 2016 finds the brother's re-uniting to bring us more groundbreaking rock and roll with a Blues driven vehicle that Chip calls "Ford Madox Ford." 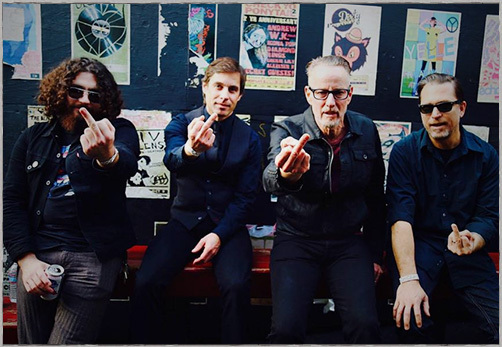 With Chip fronting Ford Madox Ford and Tony contributing production, co-writing and backing vocals for the project the guys have again crafted material that is outstanding, tuneful and unique. Chip's supercharged Blues band features crack musicianship from Dewey Peak (Lead Guitar) Matt Littell (Bass) and S. Scott Aguero (Drums). Their stated mission is to reintroduce blues to a roots starved populous. “We are planning on doing everything; recording, touring, winning a Grammy...so that’s the plan” states Kinman.